. إن الخدمات الممتازة وحسن الضيافة العالي في North Cove Waterfront Suites تجعل إقامتك تجربة لا تنسى. يقدم العقار واي فاي مجاني في جميع الغرف, تسجيل وصول/خروج سريع, تخزين الأمتعة, واي فاي في المناطق العامة, صف السيارات لضمان الراحة القصوى لضيوفه. تعكس غرف الفندق البالغ عددها 42 المنتشرة في 5 طوابق جواً من الدفء والألفة.خدمات عصرية مثل تلفزيون بشاشة مسطحة, حمام إضافي, سجاد, رف للملابس, قهوة فورية مجانية موجودة في بعض الغرف المختارة. يقدم الفندق مجموعة واسعة من وسائل الراحة المتنوعة، كمثل: حمام سباحة خارجي, سبا, حديقة. اكتشف مزيجاً ساحراً من الخدمة الاحترافية والخيارات الواسعة من وسائل الراحة والمتعة في North Cove Waterfront Suites. It's 30 mins walk from the city centre, taxi will cost you around A$10. The baby cot doesn't have the basinet, so doesn't work for little babies. But, overall is good. However, you might want to pick up some extra cleaning supplies & toilet paper from the supermarket because from our experience you may not have enough for more than a couple of nights and extra supplies from the front desk are expensive. I guess this restriction helps keep the costs down but it felt like penny pinching. 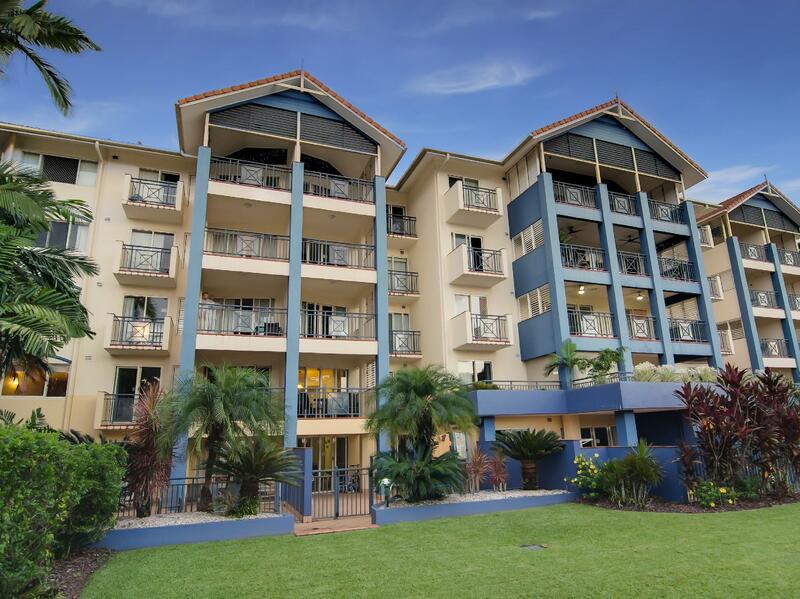 We had the above apartment which was a good layout and well presented BUT facing Lake Street which is the main road between Cairns Central and the Airport we found that traffic noise was bad,even with all windows shut there was constant noise. Great staff, nice views, quiet end of town but close enough to get a taxi. Would stay again. The staff were exceptionally friendly, helpful and accurate with their recommendations for places to visit and tours. We had a wonderful visit to Cairns. Thanks for the help. Stayed in this place for almost a week in August 2016 with my sister. Clean and equipped apartment. Very friendly and pleasant staff. I Had issues with another guest who, seems like he was constantly smoking on one of the other apartment's balcony. Informed staff if it was possible to move due to a medical condition I have (smoking aggravates it). Staff kindly obliged and moved us to a larger apartment on a higher floor with no extra charge. Thank you so much. You really made our stay most enjoyable. 2 bathrooms worked very well as we had a group of 5 people. We had everything in the apartment that we needed. 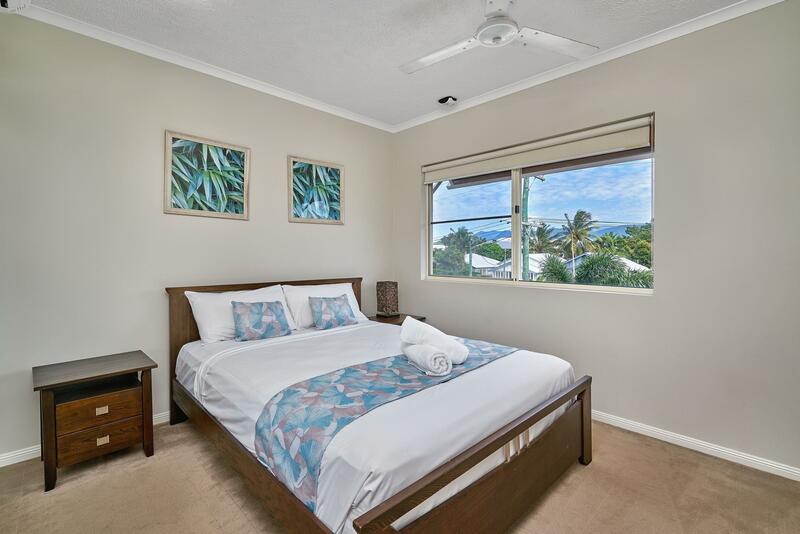 Lovely ocean views and a wonderful stay. 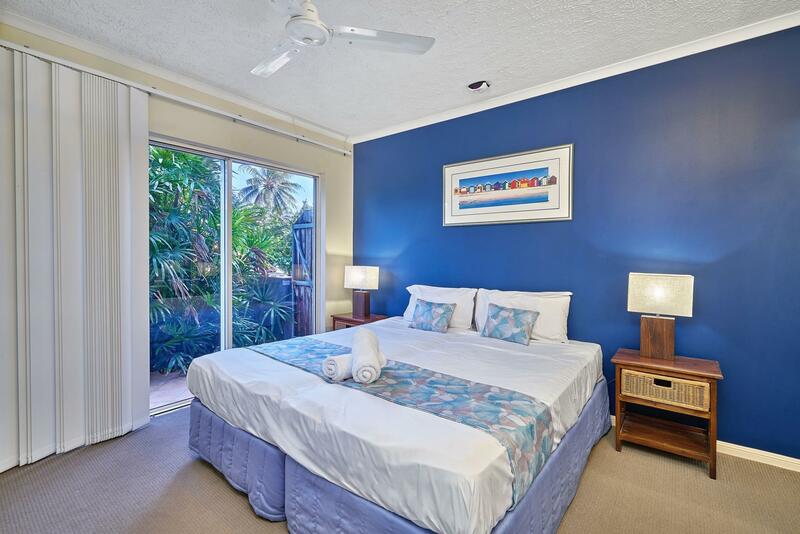 The 1 bd apartment was very spacious with a large spa overlooking the ocean and the esplanade which was great. But the complex is a bit dated and is located about 30 mins walk to the centre of town. So if you prefer space and view over new and modern finishes and a central location it's good for the price. A great place to stay, but reception not open between 12 and 2, which was a little inconvenient. 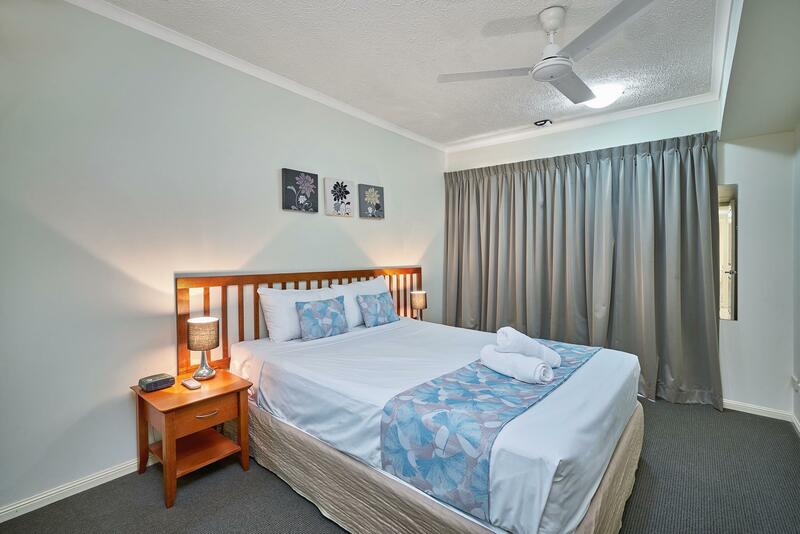 Convenient to the Esplanade, airport, CBD and all other attractions. After a bad Airbnb experience, we were lucky to snap up an apartment at NC. Spacious, clean, well taken care of. We had a great stay. Lovely walk into town (15 mins) and great pool. 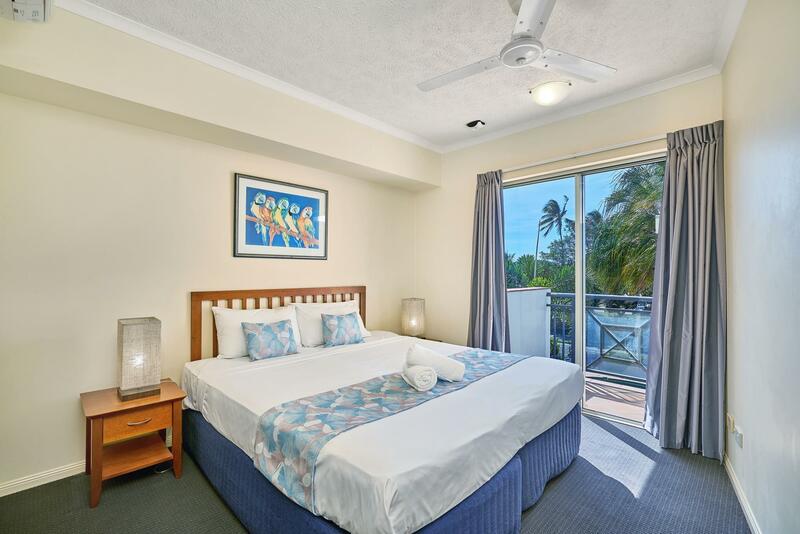 We stayed at 3 different places while in Cairns and this was our favourite. Wish we'd booked our whole stay here. Would definitely return. the surrouding of the hotel is beautiful, quiet and clean. We just walked fews minutes arriving the beautiful Esplanade and went for a wondetful and relaxing walk there. Amazing! Air Cons in both bedrooms did not work entire stay, Air con in living room turned off every two hours before also failing to work. Staff advise that knew of issues with air con prior to our check in although did nothing to inform us of rectify issue. Staff choose not to attempt to offer another room until notified of issue repeatedly. Bathroom overflowed within first hour of checking in. Room smelled like the back dock of a fishing wharf. When offered another room where air cons would work, bedding was incorrect. On checking out and querying issues and any compensation as our stay was unacceptable and due to issues hadn't slept during any of the three nights stayed because of air cons and bedding, was told to write a list of issues and the owners would contact me the following day to which this did not happen. Terrible experience overall and unhappy with rooms and lack of customer service.